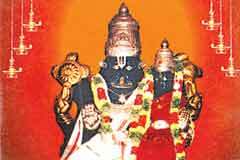 Narasimha Jayanti in Vaikasi (May-June), Aani Swathi in June-July, Aadi Jeshtabishekam in July-August, Panguni Yugadhi in March-April are the four festivals celebrated in the temple when Thailakappu- an oil mixture for abishek and other preparations are sent to the temple from Srirangam for Nivedhana to Lord. 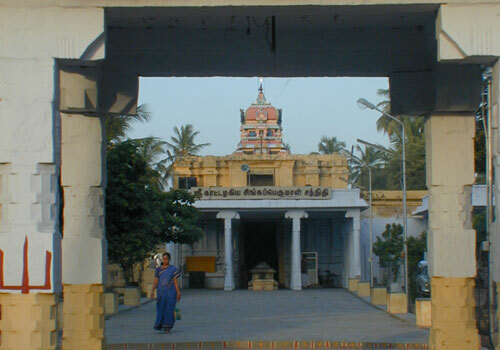 While Perumal faces East in all temples, here He is facing West. 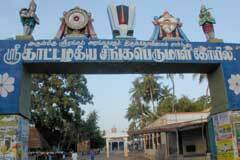 The temple is open from 6.15 a.m. to 12.00 a.m. and 5.00 p.m. to 8.30 p.m.
Sri Kattazhagiasinar Temple, Srirangam, Tiruchi district-620 006. 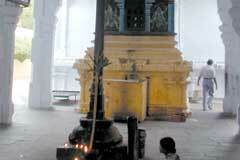 People perform Tirumanjanam to Perumal and offer Vastras. 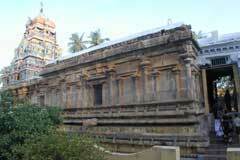 The temple is near the Tiruchi Srirangam railway station. Bus facilities are available from Tiruchi Chatiram bus stand.